According to We'Moon 2013, today is both Lunar Imbole and a New Moon in Aquarius. Powerful stuff. Time for me to come out of my shell, my cave, my layer of protection and write something again. So the First New Moon after Candlemas can be a powerful time. It's a time to start over, very similar to the idea of Candlemas but now with full moon energy as well. It's energy that supports getting started on something, moving forward, initiating change, beginning something new. Lucy Harmer in Shamanic Astrology suggests the New Moon is a time to "discover our hidden potential". In my part of the world today, as in much of Eastern Canada and the U.S., we are blanketed in snow. It looks nothing like spring. Not even one little bit. And yet, maybe that snow is a layer of protection that is hiding that potential. Maybe there is a newness under there that should be acknowledged and celebrated. When the moon is in Aquarius we are reminded that we are part of a collective. We'Moon 2012 suggests the Moon in Aquarius is a time for us to become deeply aware that, what affects one, affects us all. It's time to search for a new network. It's time to live our true philosophy. The challenge is to be true to our real heart centered feelings and move forward towards the bigger picture. It's time to come out of the cave. Grr... easier said than done it would seem. It can be a lot easier to review and analyse what your feelings are, what you want to be, what you should and could contribute to the world, the collective, than to actually get started. It's easy to hide that potential under a blanket of snow and some deep layers of personal protection. But that doesn't mean it isn't there. It does mean we have to acknowledge, nurture it, and use the energy of a new moon start and the idea of spring, to bring it to the surface. It's a process, but it's time to get started. You might find the kick start you need to start showing off your potential from some Bach Flowers. The "Winter Irritation" remedy might be a way to get that layer of irritating snow off your back. http://pixiedusthealing.blogspot.ca/2013/01/winter-irritation-case-for-bach-flowers.html You might need to sort out what you are responsible for, from your response- able, talents http://pixiedusthealing.blogspot.ca/2013/02/response-ability-vs-duty.html and there are some Bach Flowers that can help with that if you're feeling a bit stuck. So... one of my potentials, and a gift I have to share with the collective is helping match people with the power, transformation, healing and soothing comfort of Bach Flower essences. My approach to this is a bit unique but not something I believe I "developed" so much as something I was "given". It's time for me to step out of my own way and share this. One of the ways I'm doing this is by lowering prices for consultations. This isn't a "one time gimmick" to get you "hooked" into trying the essences. It isn't a "winter special" or a marketing scheme. It's from now on. I don't think the Universe is intending to make me rich by sharing Bach. I think I'm provided for in other, sometimes more boring, ways. But I'm okay with that. So... I've decreased the price of a consultation for both people and animals by 50%. For $25.00 you can have a consultation and a remedy that, if used in the typical dose, will last you about a month. 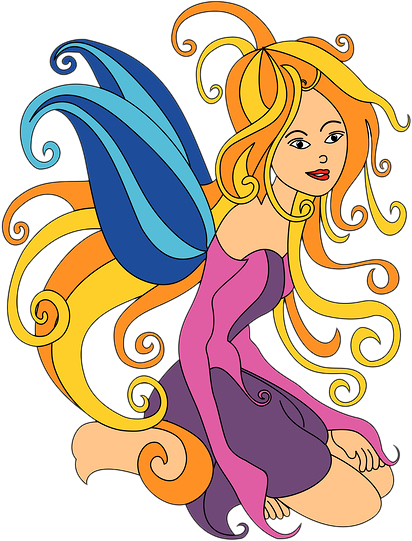 It may be a very healing month and you may be well on the road to finding your own potential. I'm also putting the combination remedies (like Winter Irritation) up on my website so you can purchase them through my site for $20.00. I've decreased the prices of my books. 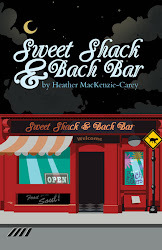 You can find out for yourself how Bach Flowers help by reading Sweet Shack & Bach Bar. 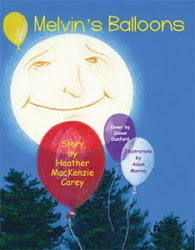 You can share the world of color and chakra feelings by reading Melvin's Balloons to a child you love. I've included some free downloads on my website. I'll try to keep putting articles and information up there. You can access everything by going to my website www.pixiedusthealing.com Go to the "shop" page http://pixiedusthealing.com/shop/ to find the combination remedies, consult purchase, and downloads. That page on my website it a bit disorganized at the moment. My "people" are working on that! It will improve. Change doesn't happen, at least for me, in a totally organized way, but I'm getting there. This comes from my heart and my true authentic self. I think we should all be able to benefit from gentle healing. I believe emotional healing is the first step to change and for that I turn to Bach Flowers as a chance to find true potential, inner strength, power and knowing. I think that should be available for everyone. I'm trying to make it happen. Ahh... here's to true collective change.